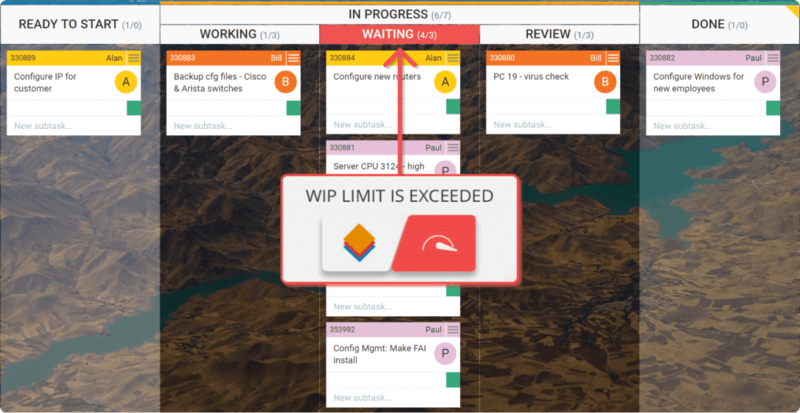 What is a Kanban WIP Limit? Why Do You Need It? The acronym WIP stands for Work In Progress. WIP is the number of task items that a team is currently working on. It frames the capacity of your team’s workflow at any moment. Limiting work in progress is one of the core properties of Kanban. It allows you to manage your process in a way that creates smooth workflow and prevents overloads. Why Should You Limit Work in Progress? Work in progress (WIP) limits restrict the maximum amount of work items in the different stages (kanban board columns) of the workflow. The implementation of WIP limits allows you to complete single work items faster, by helping your team to focus only on current tasks. Most importantly, by applying WIP limits, your team has the opportunity of locating bottlenecks in their working processes before they become blockers. WIP limits are considered an important prerequisite for delivering value to your customer as fast as possible. This makes WIP limits a valuable asset in the Kanban method. Why Should You Use Kanban WIP limits? Actually, limiting work in progress is one of the main practices that frames the Kanban method and makes it so efficient. Kanban WIP limits ensure that your team will keep an optimal pace of work without exceeding its work capacity. In the context of Kanban boards, Kanban WIP limit is the gatekeeper that makes sure you start only as much work as you finish throughout the organization. This prevents the accumulation of unfinished work, which otherwise would flood your processes. Additionally, applying WIP limits on your Kanban Board will help you to reveal work process blockers and to prevent team members from regular context switching between tasks. These steps will have a positive impact on efficiency and will improve your team’s productivity. In a team of two, installing a limit on work in progress of one task per person would prevent context-switching and immediately reveal the difference of throughput rates. Exceeded limits, in such a case, would signal the need for reviewing the process and potentially assigning more people to the heavier work stage. Kanban WIP limits have to be adjusted if needed. There isn’t a predetermined formula that will tell you how to set up optimal work in progress limits. 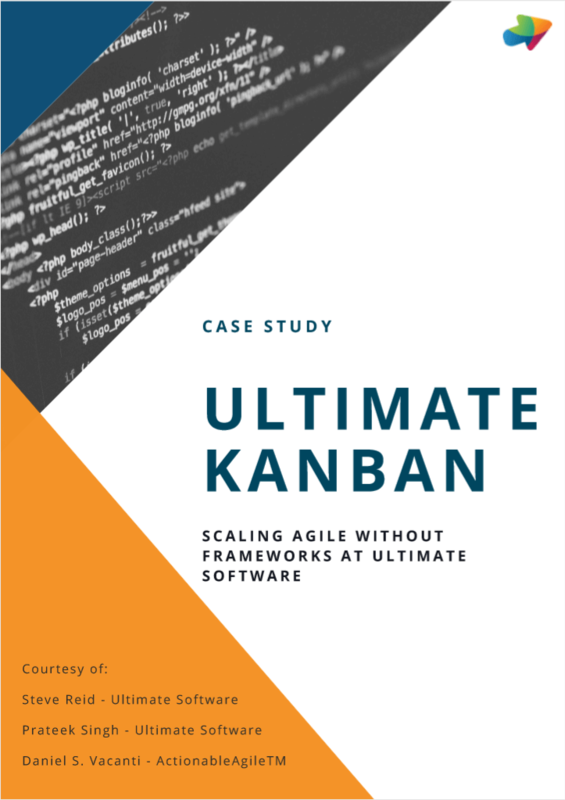 Before applying WIP limits to your Kanban board, be it physical or software-based, you should have in mind that your workflow will be changing dynamically because it is not an isolated system. Therefore, you need to monitor the workflow of your team on a regular basis and to control WIP limits depending on the ever-changing factors such as new business requirements, customer demands, team’s size and capacity, unexpected technical issues, etc. For these purposes, most of the modern online Kanban platforms are equipped with powerful Kanban metrics tools, where you can check and analyse essential information regarding your team’s workflow. There is one general rule, in order to be sure that the Kanban system will work for your team. WIP limits should not be exceeded at any cost unless there is an urgent task that needs to be considered as of highest priority. However, prioritizing tasks in this way should be an exclusion. Otherwise, you will miss the point of creating a smooth workflow and increasing your team’s efficiency. This is why it is important to make sure that your team understands the core rules and practices of Kanban. Naturally, you will set WIP limits according to your team’s current work capacity. However, once you set them, you need to observe the work process and adjust WIP limits if needed. After all, every workflow is dynamically changing and it needs continuous improvement.